**Pay Sheets are due the 8th and 23rd of each month. **Pay Days are the 15th and 30th/31st of each month. Please consider DIRECT DEPOSIT . No more waiting for the mail man, making time to get to the bank! Simply provide a canceled(or check/deposit slip to Cheri at Central Office. 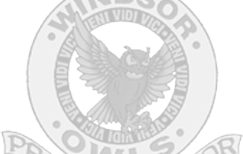 Powerpoints from the Parent Informational Meetings can be found on the Windsor Web Site. Go to the Curriculum Tab – Math – Singapore Math Documents. You can find the handouts from these meetings here also. As a guest teacher you are always searching for new ways to become more effective. Please let me know if there is something you would like to see on this web page, provided to you – either in the classroom or as a training. When in a classroom, do not show a video unless it has been obtained through the schools media center. Only “G” rated movies are permitted in elementary schools, and in other levels, PG and PG13 require Parental Permission. If you are scheduled to sub on a day school is canceled Julie will call you (unless you receive the schools “all-call” because you have students in the district). Write expectations on the board and keep the list short. Recognize and reinforce appropriate behavior whenever you see it. Be firm and fair without being mean. Whatever happens stay calm, cool and collected. Flu season is upon us . Take some precautions to being bit! Do you have any “words of wisdom” for other substitutes? Use this for the last ten minutes of a busy day, a time filler, or maybe as a reward for a well-done day. Choose seven students to be It. Those students go to the front of the room. The other students put their heads on their destks so they cna’t see. The seven Its wander the room. Each taps one of the seated students on the head. As a student is tappedm he or she raise a hand. When all seven Its return to the front of the room, they say in unison,”Seven up, Stand up!”. Each student who was tapped has an opportuity to guess who tapped them. If a student guesses correctly, he or she replaces the person who did the tapping. The game begins again when all have had a chance to guess. Greet all your students with a smile and a genuinely warm welcome. This will set the tone for the day- for both you and for your students, will answer the questions”What will this sub be like?” and instantly wins kids over! So Simple, yet so effective. Remember guest teaches have a grave responsibility to treat with confidentiality most matters pertaining to students – performance, achievement levels, behavior.